SDSO perhaps...PD does not have any Chargers. Like I said, I only caught a glimpse of it. I know SDSO's HQ is right around the corner from there. I was pretty sure I saw the back doors white also. That's why I thought it was one of yours. It was in front of the Seagull productions so it could have been a prop vehicle too. I'll keep my eyes open in the area and see if I can find it again. 2912N wrote: SDSO perhaps...PD does not have any Chargers. Second that. 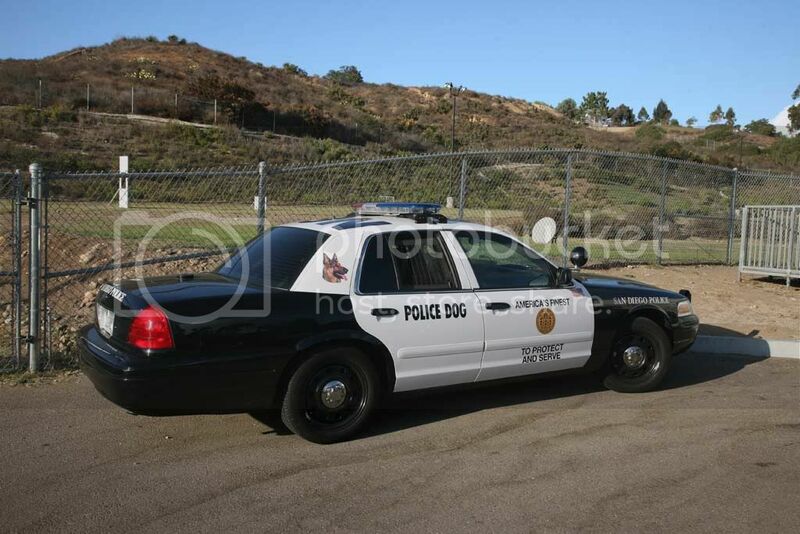 No Chargers or anything besides Ford products at SDPD. I think the maintenance is too set of Ford products. Even one of the head mechanics is on the Ford Safety committee.. or something like that. There are a few tahoes and and a couple older Impalas out there.. The impalas were tests I think, and the Tahoes are being phased out. Theres a bunch of new PEO scooters coming out though.. all white now. Got a pic of it at the Air Show. I think that's what I saw Sean. I saw it again today on 8 east in El Cajon taking the 67 north. I work just north of Montgomery Field so I believe that is the one I saw.